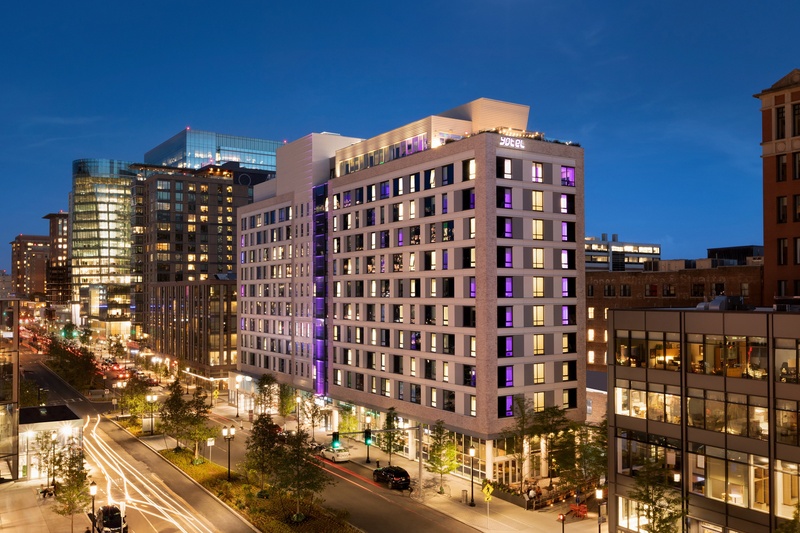 YOTEL Boston, a cutting-edge, tech-savvy hotel located in the innovative Boston Seaport district, has selected ALICE to enhance their internal communication, preventative maintenance, concierge operations, and guest engagement. This central Boston hotel is uncompromisingly designed for the guest experience, and is revolutionizing the traditional view of a luxury hotel stay by focusing on everything guests need, and nothing they don’t. Through implementing ALICE, YOTEL Boston will create a seamless level of communication staff-to-staff, and guest-to-staff. ALICE is the hospitality industry’s leading operations technology, connecting every department of the hotel with one platform for all staff communication and guest requests. ALICE recently acquired concierge software provider GoConcierge to augment its technology and customer service offering. Before partnering with ALICE, YOTEL Boston was using an alternative software to manage staff work and facilitate staff communication; unfortunately, this platform left much to be desired, including a wider range of reporting capability. There was a lack of ability to track hotel performance and operations, and it was difficult to know what was happening on the property in real-time. Moreover, emails and handwritten reports were still necessary for sharing information. “ALICE allows everything to be done very instantly, so that’s what we’re looking forward to seeing-- tracking productivity, and spotting trends before our guests and crew, making it altogether more intuitive,” says General Manager Trish Berry. YOTEL Boston shines with outstandingly smart and well-designed spaces in a bustling central location, providing guests with a 21st-century experience emphasizing digital efficiency, minus the hefty price tag. Before launching ALICE, staff used hotel and/or personal phones for communication with guests. YOTEL wanted to transform guest communication into something more effective and professional, eliminating the constant need to be on a cellphone. ALICE is helping to bridge those communication gaps by offering an optimal channel for both staff and guest communication through alternative devices, elevating the level of service while increasing efficiency for all parties. “Texting the guest, we didn’t have the ability to do that before. Many of our guests check-in [electronically] and we don’t touch them, so the ability to text guests right after they arrive [and check-in] allows us to give a more personal experience, even though it’s through technology,” comments Trish. As Boston continues to become a flourishing tech hub, it will be exciting to see hoteliers advance efficiency and guest touch through the ALICE platform. ALICE is also increasing effectiveness on the maintenance front, as well as bridging the language gap with multilingual software. Spanish-speaking staff members are now integrated, and “to be able to train in the language, and to be able to have that language available for my cabin crew (housekeeping) and have it in Spanish is phenomenal,” notes Trish. “Cabin crew” staff can now also take photos and immediately send them to maintenance, greatly increasing the speed of resolution in regards to these types of concerns. All staff are on the same page when it comes to requests, and this only adds to the seamlessness that YOTEL has been seeking. With aligning goals in innovation and excellence, ALICE and YOTEL will nimbly partner together to perpetually elevate brand efficiency and guest engagement. ALICE is currently launched at YOTEL Boston, and plans to launch as a brand standard for other YOTEL properties beginning with New York and San Francisco. YOTEL currently operates 7 hotels under the YOTEL, YOTELAIR and YOTELPAD brand, with 19 new properties due to open in the next few years.